The Jewel @ i-City, a stunning addition that will boost the development of i-City to a whole new level. Carved with captivating, yet futuristic architectures, this soon to be monumental skyscraper will be the gem of Shah Alam. Expected to launch in 2016, The Jewel allocate residential towers, office suites, retail units and a luxury hotel amidst the ultrapolis setting of i-City. The future iconic development target multinational companies as well as 500 fortunate companies to take advantage of its MSC status, and be part of its MSC office, corporate and commercial sectors. Staggered between 45 and 70-storey of mixed-used building with a total built-up of approximately 3.8 million square feet, discerning tenants residing at higher level can vouch for a breathtaking panoramic view. Coming home to The Jewel will be a dream you will never forget. 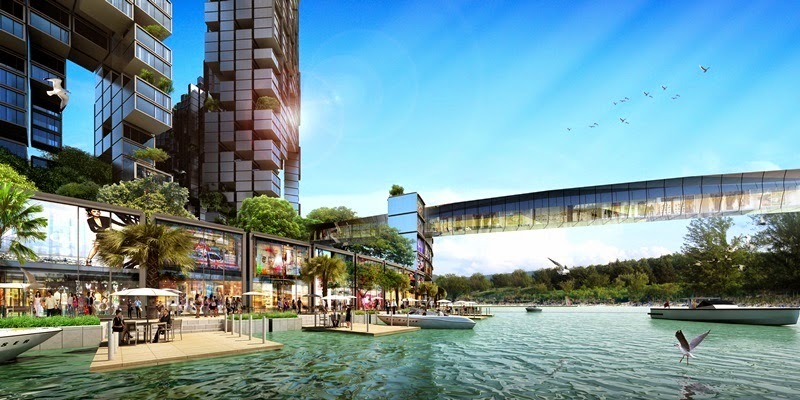 Some other remarkable components of The Jewel include a sky bridge betwixt its hotel and residential blocks, as well as a man-made lake and encircling water landscape sited right at the heart of the ambitious development. Designed with such diverse compositions, The Jewel offer residential units at a staggering price of RM1,480 per square foot, which marks a new benchmark for residential properties in Shah Alam. The tallest development in Shah Alam is coming with the birth of The Jewel @ i-City.